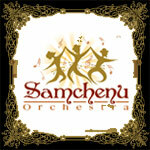 A premier Simcha Band for any occasion, Samchenu Orchestra, is guaranteed to liven up any party. Many years of experience in the Jewish Music industry, anywhere from a one man band to a 40 Piece Orchestra. We work with our core musicians to deliver crisp, authentic, and energetic music! We do Weddings, Bar/Bat Mitzvahs, Banquets, Concerts, Acapella, Yeshivish, Jewish, Sfaradi/Mizrachi, and Contemporary. Once you hear the difference in our music, you will be hooked! Serving all of California, and the West Coast. From a three-piece band to a 32-piece orchestra, Nefesh Music provides professional Jewish wedding music for any special event. 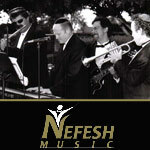 Nefesh Music will make sure your event will be second to none with the highest energy band members that will ensure that every minute is fun, classy, exciting and memorable. 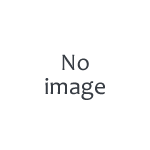 The Sam Glaser Orchestra specializes in music for joyous weddings and bar/bat mitzvahs. We feature the top LA musicians and "no-compromise" vocals and our high energy horas are guaranteed to make the room spin! We feature a complete repertoire of Jewish music plus Broadway, Motown, rock and jazz. We will travel anywhere in the US to make your simcha amazing! Unsurpassed music, beauty, and energy. 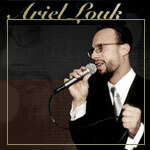 The best in Jewish music for over 25 years.